Welcome to the Ted Ryan (WB6JXY) Memorial Amateur Radio Club. This webpage honors the achievements of one of amateur radio's most prolific teachers, Ted Ryan, WB6JXY (sk). From the 1965 to 2000, Ted, taught thousands of hams. He taught at John Burroughs Jr. High School in Los Angeles, California, the San Fernando Valley Amateur Radio Club, W6SD (SFVARC), the Red Cross, and his home - all for free. He gave away dozens, perhaps more, free novice stations to underpriveleged kids. Please click on Memorial Page to learn of his remarkable story. ac6c --at-- arrl --dot-- net (convert --at-- to @; fools spam bots). Originally licensed as WN6TQT, later WB6TQT. SFVARC @ Robert Fulton Jr. 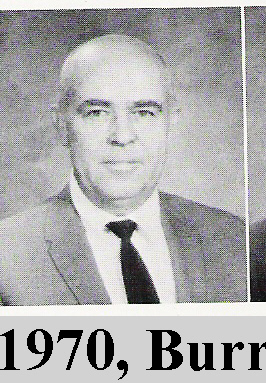 HS., 1965. SFVARC @ Van Nuys Red Cross, 1988. SFVARC @ Van Nuys Red Cross, 1993. On August 30, 2006, we were issued a sequential call sign for our club, KI6FGM. On May 13, 2007, we applied to the FCC to have Ted's callsign canceled. In June 2008, our club was granted Ted's callsign. owned by Ted Ryan WB6JXY Memorial Amatuer Radio Club.